Carlprit is a Zimbabwean rapper, actor, song writer and music manager. He has performed with and written for acts such as Cascada, Alexandra Stan and Laurent Wolf. He is best known for his song Fiesta as well as his appearance in 2009 on Cascada's hit single "Evacuate the Dancefloor" which sold over three million copies worldwide and reached the top 20 on the Billboard charts, making Carlprit the first person of Zimbabwean origin to have a song in the top U.S. Billboard charts. Carlprit was born in the Avenues, Harare to a Zimbabwean Mother and German Father. He grew up at number 20 Tom Ward Ave,Cotswold Hills,Mabelreign, Harare. He attended North Park Primary School and Ellis Robins Boy's High School before leaving to live with his older brother in Germany. He is the younger brother of Söhne Mannheims rapper Metaphysics and is the youngest of 5 siblings. Calprit first started releasing records in early 2000 after he moved to Germany. In 2003, he appeared on a record by his older brother The Universe of the album Digital Garden. After that he began releasing numerous unofficial mix tape remixes throughout his neighborhood but was unable to receive any real recognition due to the language barrier that he faced in Germany. Drawing on his older brother's dealings with multi-platinum German band Söhne Mannheims, Carlprit tried to set up his own Hustlers Academy imprint in 2006 with entrepreneur and friend Dahoud Faron. The label was soon broken apart due to differences in creative thinking. Without a label and unable to get signed, Carlprit was forced into doing club hosting and YouTube releases as a way of getting recognition. It was during this time that he met Tarantado who was an up-and-coming rapper from Wuppertal, as well as DEDE who later produced and recorded most of Carlprit's first solo mix tape Hustlers Academy. In 2009, he was under the management of his older brother, Metaphysics from the band Söhne Mannheims, Carlprit was then presented to ZooLand Records. Zooland producer Yann Peifer recognized his potential and offered to try him out on a new project they were working on. Three weeks later, "Evacuate the Dancefloor" was produced and Carlprit featured in the music video which was filmed in Los Angeles. The song was then released in June 2009, where it topped charts internationally, went platinum in the U.S. and reached number one in the UK and the Netherlands. Solo Work Carlprit released his first official single "See you @ the top" in the year 2010. The song features the U.K brother duo, Bkay and kazz. The song was released independently on Gandanga Records and Pyramid Music. The song was featured on the hit German Television show Model WG and reached position 1 in South Africa on Channel Os request show. In 2011 Zooland and Universal records released Carlprits second solo single "1234". The video was directed by Dany wild and feature's miss Victoria Kern as the female vocalist singing the hook line. Fiesta is the title of his third solo single and is probably his most successful so far. Reaching number one in the French air play charts, top 100 in Germany, France and Switzerland's single sales charts and over 5million YouTube views Fiesta is defiantly one of Carlprits biggest solo defining moments. Fiesta was produced by Michael Mind Project and Markus Shultz and features vocals recorded and written by CVB. 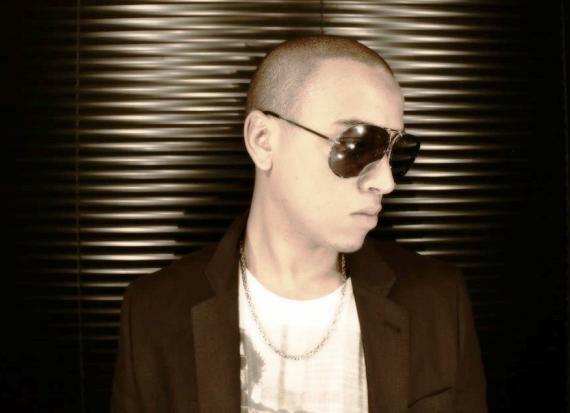 After the success of Fiesta, Carlprit followed up with his next solo single "Here we go" in early 2013 and "Party round the world" which is set to be released on November 8 2013.